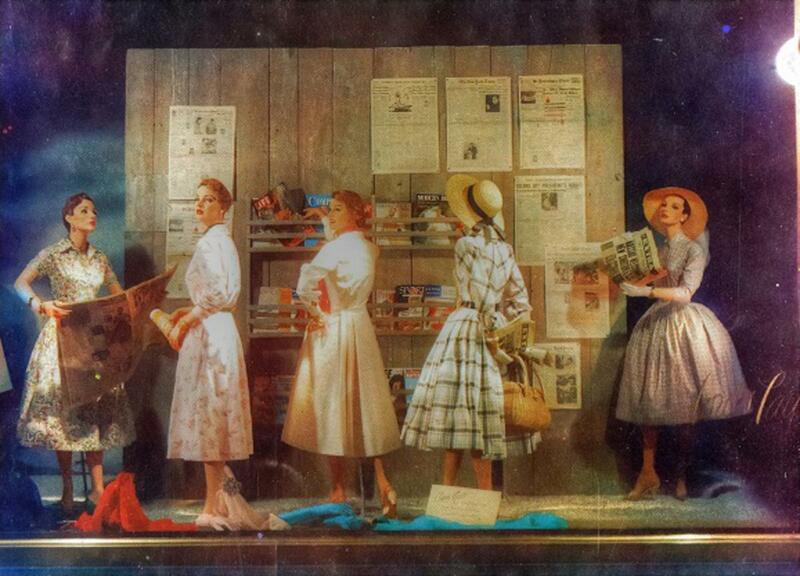 Lord & Taylor Department Store, New York City February 1955, window display mannequins: "What a wonderful way to break the news! A magazine stand is the gathering point for the featured shirt dresses. Lord & Taylor Loves Life in a Shirt Dress." As seen in Views and Reviews - Retail Reporting Bureau, February 1955 issue.